•	Load ranges from 200kg up to 900kg per wheel. 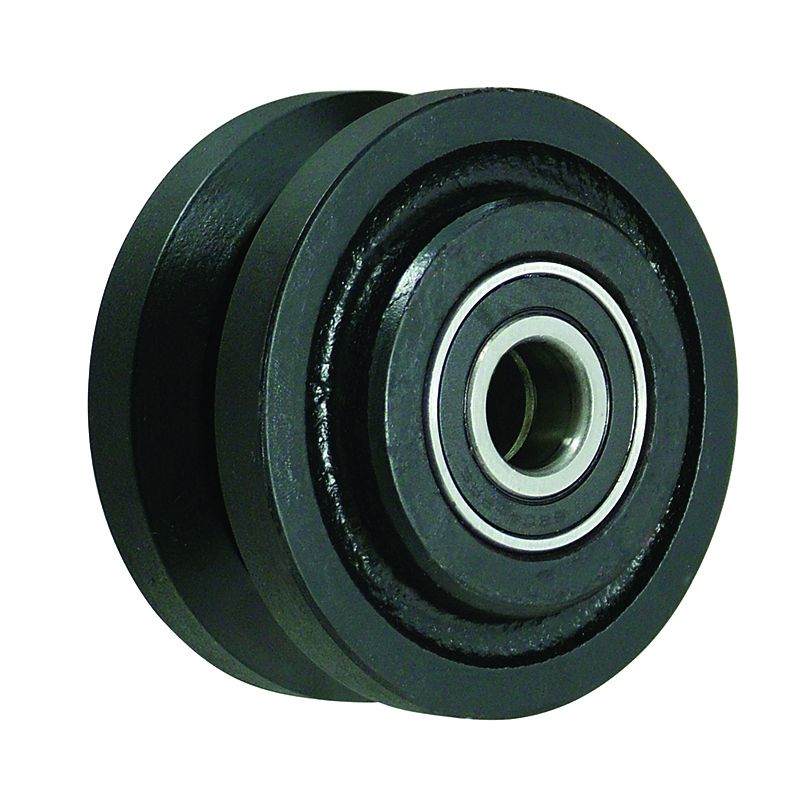 V-grooved solid cast iron wheel with a roller bearing. Wheel diameter 75mm, tread width 35mm, bore size 19mm, width of groove 22mm, depth of groove 11mm, hub length 45mm. Load capacity 200kg. V-Grooved cast iron wheel with ball bearings. Wheel diameter 150mm, tread width 45mm, bore size 25mm. width of groove 32mm, depth of groove 15mm, hub 60mm. Load capacity 700kg. V-Grooved cast iron wheel with ball bearings. Wheel diameter 150mm, tread width 45mm, bore size 20mm. width of groove 32mm, depth of groove 15mm, hub 60mm. Load capacity 700kg. V-Grooved cast iron wheel with ball bearings. Wheel diameter 125mm, tread width 45mm, bore size 20mm. width of groove 22mm, depth of groove 11mm, hub 60mm. Load capacity 675kg.